Do you have a biological question that could be readily answered by computational techniques, but little experience in programming? Do you want to learn more about the core techniques used in computational biology and bioinformatics? 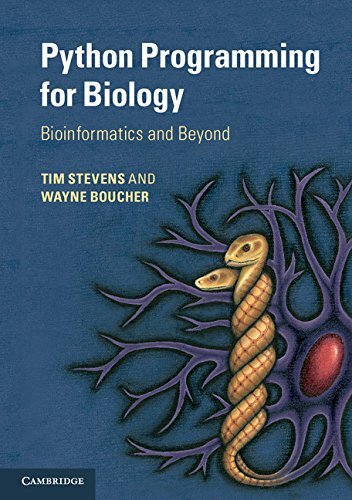 Written in an accessible style, this guide provides a foundation for both newcomers to computer programming and those interested in learning more about computational biology. The chapters guide the reader through: a complete beginners' course to programming in Python, with an introduction to computing jargon; descriptions of core bioinformatics methods with working Python examples; scientific computing techniques, including image analysis, statistics and machine learning. This book also functions as a language reference written in straightforward English, covering the most common Python language elements and a glossary of computing and biological terms. This title will teach undergraduates, postgraduates and professionals working in the life sciences how to program with Python, a powerful, flexible and easy-to-use language.